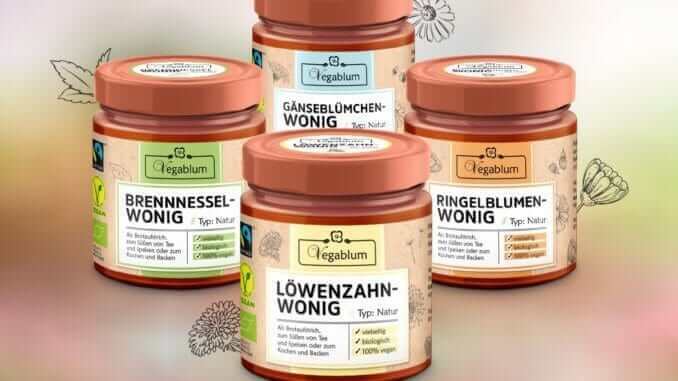 The new German company Vegablum has been developing and producing high-quality vegan alternatives to honey, mead and honey liqueur since it was founded in 2015. One of its completely unique products is its vegan organic honey, which is in no way inferior in texture and taste to real honey. Opinions are often divided on the question of whether honey can or should be a part of the vegan diet. Vegablum offers all vegan consumers a simple solution; a vegan honey alternative in many tasty varieties. 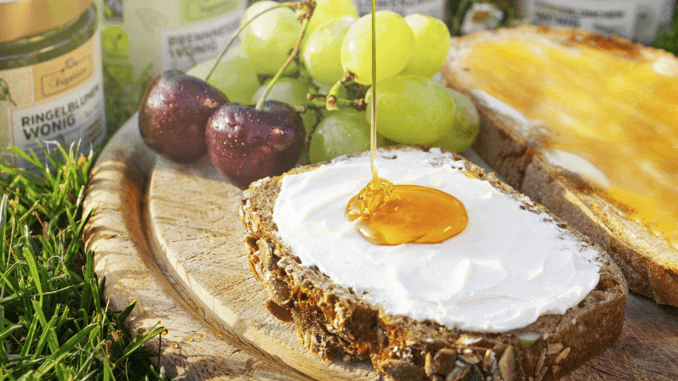 Under the motto “Vegan + Honig = Wonig – Wie Honig!” the company creates and distributes an ever-widening range of different types of honey. The honey is obtained exclusively from various plant and flower extracts, and can be used in the same way as real honey due to its taste and consistency. The Wonig product range also includes organic vegan alternatives with fair trade and mostly local ingredients. Vegablum even uses grass paper and vegan adhesive for the labels on the jars. The product range includes classic honey in the varieties nettle, marigold, daisy and dandelion. In addition, there is a large selection of apple and honey varieties in various flavours such as cinnamon, mint or mulled wine. All honeys are also free of palm oil, soya and gluten. In 2017, the company even won the “Vegan Innovation Award” in the category “Startup: Young, innovative & vegan” for its honey alternatives at the the vegan fair in Cologne. Vegablum’s product range also includes vegan alternatives such as mead and liqueur. The vegan mead is developed and produced using the different types of honey.